if i were to pick just one day of the year, one day that has my head swirling to faraway places and faraway times, this would be the one. it is a day stuffed like a fat november bird, with pure anticipation. when i was little, it was the day we hopped in the station wagon and drove straight through to ohio, to the ivy-covered house on the hill, the one with the yellow-spackled kitchen floors that gave just a bit under your shoes, the one with the aluminum tin on the counter, stuffed with layer upon layer of cut-out turkey cookies, my grandma’s first nod to the weekend of feasting, each brown-edged beauty nestled on a bed of wax paper, stacked clear to the rim. so quickly, we got to the crumbs on the bottom. in college, it was the day i got to go home, leave behind the loneliness that seeped in somehow by end of semester. back to my growing-up room with the windows up in the trees. back to the sounds of my papa typing, and my mama making a fuss in the kitchen. it’s the day you don’t want to find yourself in the grocery store. it’s the day you want to be nestled in the kitchen, or at least thinking about kitchens. it’s the day i yearn to be settling in, not far from the stove, making a clatter with pots and pans and mixing bowls. even a roaster, with lid, the sort that could shatter your foot if it dropped there. one of these years that fat bird will be in my oven, but not yet. i am still waiting. my mama’s not ready to give up the bird. so this year, i got up early to stir pumpkin into the sifted mound of flour and sugar and cinnamon. to crack eggs, dollop oil, fold in cranberries. one lonely loaf is all i am making this year. we’re flying tomorrow. to new york city, as apt a place to spend thanksgiving as just about any. save for the woods of vermont, maybe, where i wouldn’t mind tromping through crunching trails of leaves fallen, up to an old creaking house where windows glow from the inside, where cider and bird await, where i could make like a pilgrim and feast. new york, the antithesis of the woods, calls me too, though. the shop windows frosted with november’s chill breath. the hustling and bustling. the armloads of boxes, loaves wrapped in red bows. oh, i’ll take a new york thanksgiving. but before i throw a few things in the one bag we’re allowed, i thought i’d pull up a chair and tick off the things for which i am sooo deeply grateful, so thankful. the things that fill me with grace, that offer promise and hope, the things that each and every day make me thank God i’m alive. 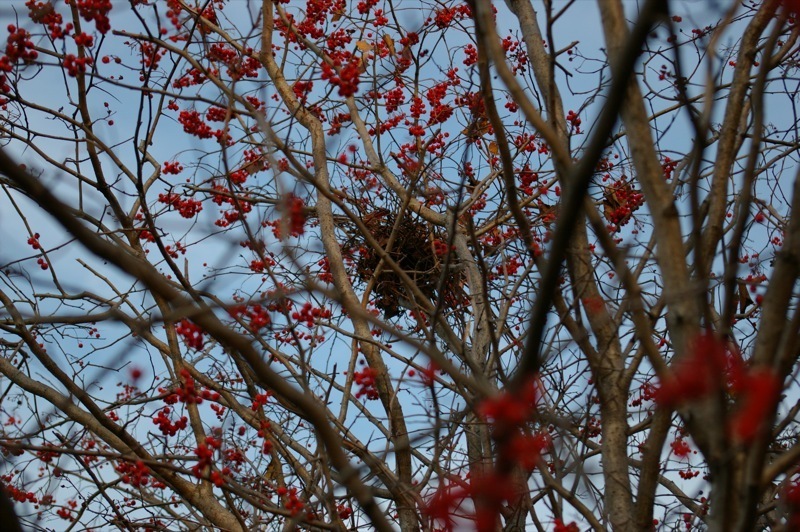 thank you, Maker of All, for the winged blessings that hop on my sill, that tuck their shivering selves into the branches that brush up against my windows. thank you for catching my breath, stopping me, carrying a wisp of my heart off on the wings that lift up each flight. thank you, Mother of Mothers, for making me one–a woman who knows what it is to carry within the whole story of two children who, over the years, have bored deep and through my heart, have stretched me and filled me in ways i never ever could have imagined, have prayed for. thank you for catching my breath, for filling my arms, for the tousled heads that are mine to kiss as long and as often as i wish (long as no one’s around to witness said kisses, to make the still-round cheeks of those boys blush deep rose to red). thank you for fires that roar and logs that crackle. thank you for the one that’s turning the so-called sleeping room, across from the kitchen, into a chamber of flickering gold. thank you for the two lumps under blankets, snoozing by the fire as i sit here, now typing. thank you for the gray-striped cat that’s delighted and charmed us all these many years. the one that now meows by the door, not yet figuring out that it’s 40-some degrees outside. and drizzly with rain. hardly weather for cats with finicky paws. thank you for the great good souls i discovered this year, the ones i fell in love with, the ones whose stories i now know, whose burdens i wear like a heavy thick coat. thank you for the gorgeous women who type beside me each and every day i troop into the office, those great good souls whose laughter is balm for all that stings and threatens to strangle, whose wide-eyed indignation at all the right twists in the story is sure cure for temptation to leap. thank you for sister-in-laws, closest thing i know to a blood sister. thank you for the one who cooks today so we can feast tomorrow. thank you for the ones faraway who i will miss tomorrow. thank you for 9-year-old boys and 17-year-old ones, and the eight-year gap in between that allows me this most spicy soup that is my two-track life–on one hand teaching the little one how to tie laces on basketball shoes, on the other listening deep into the night to whatever fills a thinking teenager’s heart. thank you for brothers, ones who fill in my gaps, and share the same flashlight into the past. ones who grew up in the same house as me, heard the same sounds, knew of the rooster next door, and the bend in the road that hid the way to the pond. thank you for a mother who turned 80 last week and still cooks for us two nights a week. thank you for jim, the builder, who just today was here digging holes in the garden, putting in posts for my old gothic birdhouse, the one right beyond the kitchen door, and the old country mailbox, the one that holds my garden gloves and clippers so i needn’t shuffle too far when the urge strikes to get muddy. thank you for hands that never mind mud, hands for which gloves are a farce, a thin-skinned charade, and so rarely worn. even if they are housed in an old country mailbox. good excuse for the box. thank you for cranberries and brussels sprouts (yes) and white meat of turkey. thank you for wine by the splash, and the way it makes the room go just a wee bit more glow-y, and the laughter and stories unspool not just a wee bit more heartily. thank you too for corn bread stuffing. and friends who make it the way their mamas did, and grandmamas before that. thank you for dawn, and dusk, dear Lighter of Light, those edges of the night and the day, when the first and the last seeds of illumination are scattered, are rosy. thank you God for the trees and the gnarly limbs, and the hummingbird now buried deep in my garden. to be continued…..by all of those who wander by, who pull up a chair, and leave just a swatch of their heart…. for each of whom i am so deeply thankful…. pull up a chair. no, really. in a life where just about every hour feels claimed, where any which one belongs to work, or washing machine, or endless runs to the grocery store, i always seem to be lacking in one serious department: taking time to sit and be with friends. not dashing off an email in the middle of the night. not calling while walking on the treadmill. not sitting side-by-side at work. but actually, intentionally, gathering for pure purpose of catching up, checking in, putting finger to pulse of a heart that i love, a heart i don’t know as deeply as i wish i did, or both of the above. and so it was that this morning was carved out. held by scribbles of ink on the calendar, anchored there more than a month ago, after a few rounds of emails eventually ruled it claimed and untouchable. nothing–not a tummy ache of a child, not a deadline, not leaves that beg to be raked in the yard–nothing was going to hijack this morning. so help us, lord. and sure enough, no hijacking occurred. one lugged a baby. one lugged a heavy heart. one shoved aside an annual trip to the midwife. i brewed up the coffee. and so we sat. for hours and hours. no one minded the clock slipping into double digits, and then back into singletons, when the noon hour came and went. 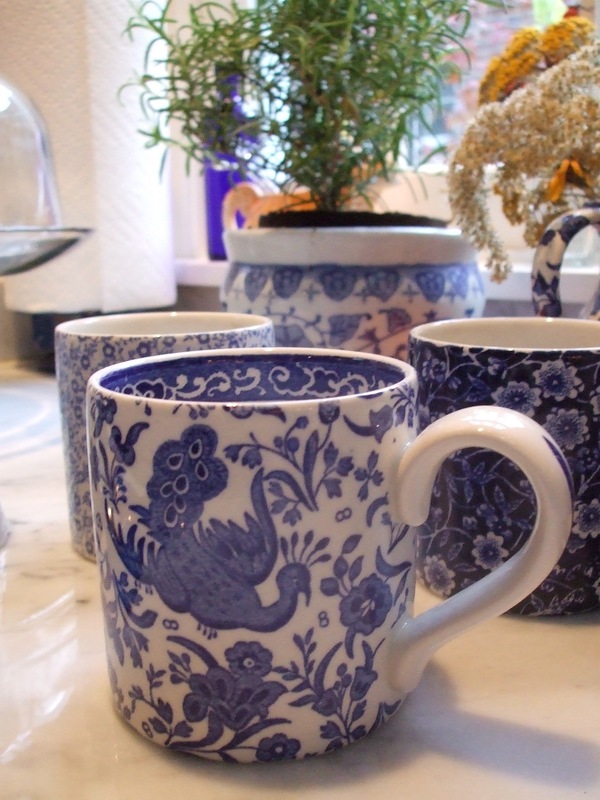 how rare, and how perfect, to sit, hands cupped around still-warm mugs. plates stacked high with clementine peels and crumbs from pumpkin loaf. how rare, how perfect, to watch stories unspool, to follow one thread into another. to sit back and watch, the criss-crossing of this thread over to that one. to peel back the layers of who we are and the lives we have lived. to relish the mere fact that this morning had brought us together. that in this small town, four such drawn-together hearts, could actually draw together. it’s one of the pitfalls of packing too much into our daily to-do’s: it’s friendship, too often, that falls by the wayside. not that the love’s not there. not that the yearning is gone. just that, in a tall order of living, we too often forget to refuel on the very thing that stirs all our hearts: the simple sacred time for connection, re-connection, building layer upon layer of holy criss-cross connection. clearly it’s something i long for. it’s at the heart of this old kitchen table. the one where words on a screen too often suffice for the real thing. so, rare that it was and it is, this morning the knock at the door came over and over, and each time, i uttered the words that have opened so many hearts: here, pull up a chair. do you take time to pull up real chairs in your life? do you carve out hours for sacred connection? or do you, too, skimp on what might be the most essential of all? tending to friendships that matter…. and now, late for my mad-dashing rounds of errands, i need to lope out the door…. it’s borrowed time, i sense. the bitter chilly autumn is borrowing from end-of-summer. the air, uplifted by warm currents passing by. not yet finger-numbing cold. though it should be. and so, i got reprieve. free pass to tuck in bulbs just two weeks before thanksgiving. any day now, snows could hurl. winds, whistle. i’ve no business waiting till this morning to amble out to where my shovel lies, settling into winter’s slumber, the nap that’s undisturbed till the earth begins to stir. but i pulled that sharp-edged blade from the hook where it hangs, i put it back in service, just one more time so i could tuck in promise for the months beyond the darkness. it’s bulb day at my house, and not a minute too soon. as is always, always the case when it comes to garden tasks, they serve my soul as much as they serve my soils. there is resurrection at the heart of slicing into earth, wrenching back the sable-colored loam, wincing at the bits that i’ve disturbed, impaled, with my digging. there is faith galore in tucking in a bulb, concentrated life. in setting it just so, so the roots are poking down and the shoot is facing skyward, where the vernal sun will come, will tickle it awake, will coax it from the frozen earth, will break through, will startle me with tender slips of green. and as i made my way through sack after sack of bulbs–daffodil and scilla, snowdrops and itty-bitty hyacinth–i couldn’t help but think of march and april hence, when our world here will be clearer, when the equation will be known. when i will be able to whisper the name of the college where my firstborn’s headed. when i will know what’s around the bend. we are living this year in the ebb and flow of time, in looking back and peeking forward. in recounting and projecting. in swirling, swirling all around. and this year the bulbs i plant, they are the bulbs of the tomorrow that we’ve aimed for for a very long time. i will watch those blooms unfold, i will pluck them, pull them in the house, as i gather up bouquets for his graduation day, as i soothe my wincing heart, as i watch my boy unfold toward college. 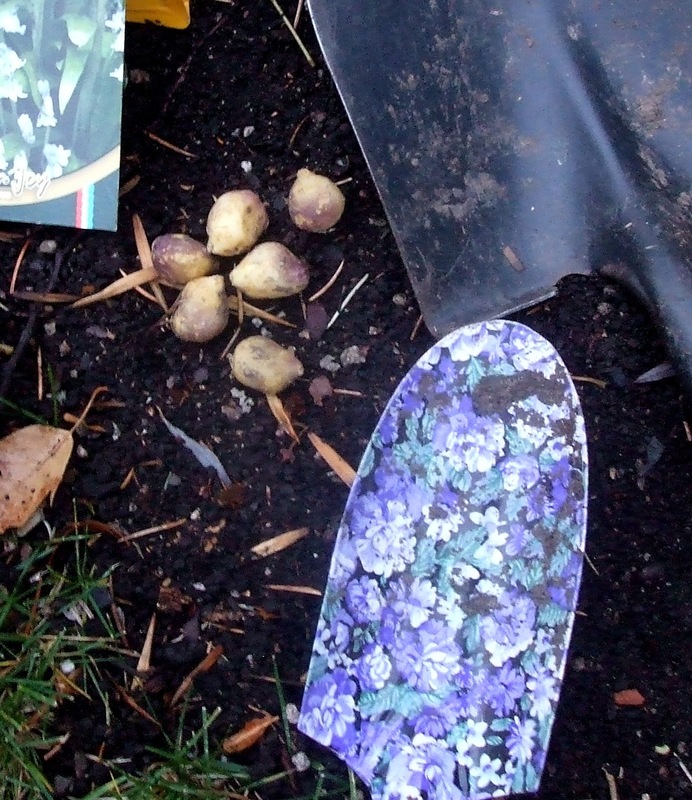 and next year’s bulbs, they will be the bulbs i plant while awaiting word from far away–the first semester under foot. how go the classes? how goes the rowing on a river i don’t know? how goes your heart so far away from mine? each year, those of us who tend our gardens as if our souls, we wait till cool winds come, and the sun slips lower in the sky, and then we head out with bulb and shovel, to tuck in promise for the warmth to come. bless the bulbs. and bless the blooming on the morrow. now sleep, for winter’s just around the corner. there is more to be done, as i dress the beds for winter, race to beat the bitter cold: chunky cotton-burr mulch to work in, to feed and aerate all at once. top coat of chopped-up leaves, mounded round the trunks and roots, nature’s scarf to stop the winds. then i’ll slip in the house, crank the kettle, start my winter’s vigil, the season of introspection that is at the heart of me and my garden. question: how do you plant yourself a bumper crop of hope? or at least a slip of it? believing that light will follow darkness? like that, the other eve, index finger reached and pressed the clicker pad: college, applied for. after all the years and months and weeks. after all the endless dinner conversations about this class or that. this grade or that. this trip to here or there. after endless hours typing essays. after calculating GPAs, weighted and unweighted, it was a click barely audible. so much transpired in that fraction of a second, the pushing down, the weight of fingerpad against the brushed silver clicker pad of the laptop. if not for my eyes that misted up on cue, if not for the gallump that might have walloped in my firstborn’s heart, you’d not have known how much had just occurred. how much of one boy’s life had been condensed into five short essays, a page or two of transcripts, a data sheet of name, address and biographic stripped-down who-when-where. and so it is in life: we lift a foot and put it down in a whole new chapter, one that measures mere inches away, but in fact is miles and miles from where we started, or where we might have gone. we say, “i do,” and suddenly we are someone we have never been. the doctor yells, “push,” and next thing we know we are head over heels in love–not with fuzzy outlines of a dream, but deep dark eyes that pore over us as if they’ve always known us, known us since the dawn of time. how can that be, so new and old at once? we grab a door handle, and walk into a workplace that will be our daily exercise for years and years to come. we drive past a house, slow to an idle, open a car door, meander up the walk, and there we are inside the walls and windows that will be the ones we call home till the day we die. thresholds aren’t such noisy things, don’t come with clanging cymbals or chiming bells. but in your heart, oh yes, you know you’ve made the crossing. so it was the other eve. i could not shake it the whole next day, after my firstborn clicked the college button. nor that night, when my dreams came boldly and jarringly. i kept reading college essays. i recall papers being pulled from my hands. i’d not finished reading but the page was yanked away. maybe, come to think of it, that’s how a mother feels when she is trying to wrap her head around the notion that her firstborn will soon be going away, for semesters at a time: wait, i’m not done yet. there is more to write, more to read, more to teach and learn. more to love. i’ve not yet gotten to the point where i worry of all the things i’ve not yet added to his list of i-can-do-its: hospital corner on the bedsheets; ironing a shirt collar without singeing your fingers; getting out of bed without a bucket of water being poured over your sleepy face. no, i spent the whole day-after simply trying to wrap my head–and the deep-inside part of my soul–around the fact that we now have a kid who has actually applied to college. done. did it. weren’t we just racing out the door, little backpack on his three-year-old shoulders, late to preschool (mere preamble for a life of racing out the door, on the brink of late more often than i care to count)? what about that little-boy sing-song voice that i still have saved on my phone machine at work, the one from back when he was two, and called my office phone to practice asking what time i might be home (even though i only worked one flight of stairs away)? and farther back still, where went the endless days when i cringed at 5 o’clock for i knew the crying would begin any minute, the unsettled belly-aching that could only be soothed by running water from the bath, and rocking in my arms till those biceps yelped to drop the load? i held on. through all of it, i managed to hold on. and now it’s ancient history. but not so long ago i can’t remember. there is, this year, so much rewinding of the skeins of life, flowing back and forth in time. trying to grasp, retrace the years. like a crooked finger put to a map, tracing the route along blue highways, red interstates, how’d we get from here to there? some of us like roadmaps. some of us trace and re-trace, sift through grains of hours, minutes, months. some of us mark time in loops, forward and rewind. we come to deeper understandings of where we are in time, by circling all around our lives and the lives of the ones we love, to measure and mark just how it is we got here. it is as if in sifting, re-sifting, i am holding up each blessed frame of the time we have had so far. i am holding it up to the light. i am marveling. i am soaking one last drop. the buttons have been pushed now. one more to go before the waiting starts in full pursuit. and as the year unspools, i will keep close watch, forward and reverse, circling round and looking top to bottom. i will live and relive the chapters we have had, so when he leaves, i’ll know i have savored every drop. the subject of course is turning pages in the book of life. how do you turn yours? do you look back closely over chapters past? or do you flip swiftly through and absorb the page you’re on?